Patenting: In with the new! 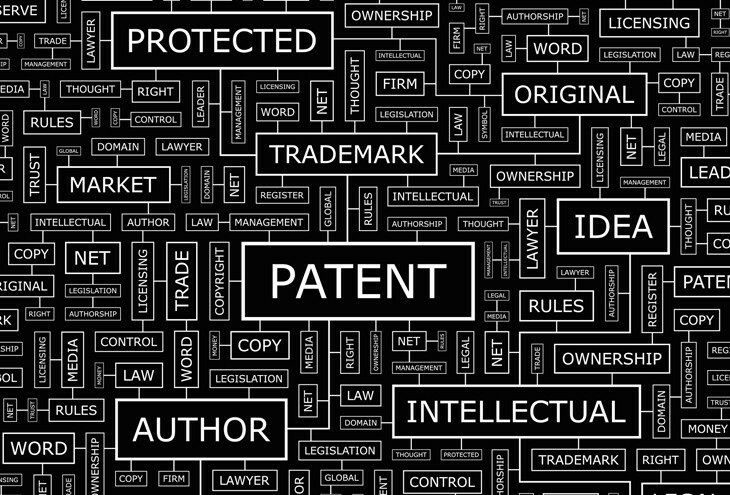 As has been alluded to in previous articles, a patent provides a patentee with the exclusive rights to make, use, sell, offer for sale, or import the invention that forms the subject of the patent. The patentee can therefore prevent others from taking these actions without the patentee’s permission. These rights are territorial, in that they apply only within the territory in which the patent has been granted. A South African patent therefore only has effect within South Africa. In light of the exclusive nature of the rights that are afforded by a patent, a valid patent cannot be lightly obtained. The South African Patents Act requires that, in order to be the subject of a valid patent, an invention must be new, inventive and must find application in trade, industry or agriculture. This article deals with the first of these requirements, namely novelty, i.e. that the invention must be new. Broadly speaking, novelty means that an invention for which patent protection is desired must not yet have been publicly disclosed, whether by the inventor or by any person that worked independently of the inventor, before a patent application was first filed for the invention by the inventor, or by his or her successor in title. More formally speaking, the novelty of an invention that forms the subject of a patent or patent application is determined with reference to the ‘priority date’ of the invention. The priority date is that date on which a patent application was first filed for the invention. An invention is deemed to have novelty if it does not form part of the ‘state of the art’ immediately before the priority date of the invention. The state of the art includes anything and everything which has been made available to the public anywhere in the world by written or oral description, by use or in any other way, before the priority date of the invention. The state of the art also includes information contained in a patent application in South Africa which has an earlier priority date than that of the concerned invention. Even an invention that been used secretly and on a commercial scale within South Africa forms part of the state of the art. If, therefore, an invention is known to just a single member of the public, who is not bound by an oral or written secrecy agreement, before a patent application has been filed for the invention, then the invention effectively forms part of the state of the art and is no longer patentable. It is, in other words, crucial that one should keep an invention secret until a patent application for the invention has been filed. If it is necessary to disclose details of the invention before a patent application can be filed, e.g. for the purpose of producing a prototype or in order to obtain financial assistance, such disclosure should be made under a pledge of secrecy which should preferably be in writing. It is also advisable to clearly delineate in the agreement what has been disclosed in order to be able to prove at a later date what in fact was disclosed, if necessary. Any non-confidential disclosure of the invention before the patent application is filed may destroy the novelty of the invention and can rule out any hope of obtaining valid patent protection for the invention. If a third party discloses the invention without the applicant’s authority before a patent application is filed, the applicant may still be able to obtain a patent if he can prove that he then filed a patent application with all reasonable diligence (i.e. without unnecessary delay) after learning of the unauthorised disclosure. Another exception to the novelty requirement is that a valid patent may still be obtained when an invention has been worked or used by the applicant in South Africa for a reasonable technical trial or experiment before he has filed a patent application. Prospective applicants are, however, advised not to rely too heavily on this exception, since there is no certainty from case law what would be regarded as ‘reasonable’ in this regard. It may sound daunting that the chances of developing a completely new invention that is not known anywhere in the world in any form are slim! However, many successfully patented inventions have been improvements of existing inventions. In order to be new, merely one real difference is required. Rumours that a certain number of differences or a certain percentage difference is required are simply inaccurate. Of course, in order to be patentable any difference must also be inventive or lead to inventiveness. This is a far more difficult requirement to meet, and will be separately discussed in a future article. In order to obtain an indication if an invention is novel, a prior art search can be conducted. The starting point is generally searching on the internet and thereafter searching through the public databases of patents and patent applications, which are available for several countries, such as the USPTO for the USA. Finding the same invention generally means that one’s invention is not new. However, as there are millions of records available, one can never confidently say that all these records have been searched. A prior art search might not identify prior art that destroys the invention’s novelty. However, there may be a novelty destroying document in Chinese that is available to the public and which has not been translated into English! South Africa is currently a non-examining country. This means that a patent application filed at the South African patent office will proceed to grant if all the formal (filing) requirements have been met. However, a third party can attack a granted patent in court on the basis that it is not novel, which if successful will result in the patent being invalidated and the patentee losing his rights, which may unfortunately have a detrimental effect on a business that relies on this patented invention. Prospective applicants should therefore take care that they are reasonably satisfied that their invention complies with the novelty requirement, before embarking on a pursuit of patent protection. Adams & Adams is a proud Partner of the National Small Business Chamber (NSBC).